It’s a pretty common situation: you’re browsing around for a new bike, looking through your usual tried and tested list of bike manufacturers. Maybe you find something you like, maybe you don’t. The thing is, tried and tested is getting a bit… well, tried. It’d be a huge shame if you missed out on the bike of your dreams, just because it’s made by somebody you’ve never heard of. In recent years there are a few brands that seem to have fought their way into the big leagues, easily competing with the established brands. I’ve been talking about them with friends, and keep being surprised at the lack of knowledge around them. Generally I just get a quizzical look, and they go on to chat about the newest model from Specialized or Giant. Well, I’m here to tell you about a few brands that you’ve probably never heard of, but should start taking notice. If you know them just fine then kudos to you – I’d love to hear your thoughts on their range: drop them in the comments below. On to the brands, and a bike of choice for each one – enjoy! Customer satisfaction is Rose Bike’s top priority, they claim. Their branding shouts about how they share your passion for cycling and your enthusiasm for everything bike-related. Well, I’d hope so from a bike company! They started out in 1907 with a tiny bicycle shop in the town of Bocholt. Since then, Rose has grown into a company with more than 250 employees and has firmly established itself on the international market. Their bikes compete with the best around, an opinion that’s been confirmed by countless cycling magazines. These mags regularly test the service and the quality of the advice given by web-order bike companies, and in those areas repeated top marks and test victories are testament to Rose’s commitment to their customers. Because they manufacture their own bikes, they have a price advantage which they pass on to their customers. Buyers benefit from continuous innovations and competitive prices. Their mechanics will put together your dream bike right down to your specific spec. It doesn’t matter if you’re pumping those pedals hard to get to the top, or clinging on for dear life as you race to the bottom, the Rose Granite Chief is in it’s element. It weighs only 12.9 Kilos, offering great touring and uphill qualities, but is still robust enough to fly through the downhill sections of your local trail. It features the new and excellent “Rock Shox Pike RC” suspension fork with a travel of 150 mm at the front. It’s a perfect compromise between low weight and convincing performance and thanks to the 35 mm upper fork tubes, it’s also extremely torsion-resistant. Overall, the Granite Chief 2 is a great all-mountain bike with excellent standard components. The great thing, though, is that, when making a purchase, you can customize nearly every single part of the bike. Here we’re talking about the standard set up, no customization. So bear in mind that if you don’t like the sound of something mentioned here, you can change it! That’s the beauty of buying from Rose. YT stands for Young Talent: this is down to their original mission to support talented young bikers and complete beginners in the sport by producing competitive, low-priced bikes. This basic idea is still pretty core to their new product development, but these days their bikes have advanced to be much more than just entry-level. In fact, they seem to excel at manufacturing pro-level bikes that are also suitable for beginners. Numerous Best-in-Test awards prove the extraordinary high quality and function of their products. YT Industries don’t use ready-made frames, preferring to develop all of their bikes in-house. The designs are based on input and feedback from those who know the steeds best – their team riders. They put a high value on safety and test their frames with complex test-procedures. Every frame is welded by hand with real care. YT Industries products are only sold direct through their website, meaning the manufacturer sells directly to the consumer. Margins for wholesale and retail, that are included in traditional distribution channels, don’t occur in their model, similar to Rose, and so result in pretty damn good prices. One glance at the Noton tells you that YT is not just bolting fancy kit to a mass-market frame either; this chassis was designed in Germany before being created in the Far East. The Noton 2.0 is aimed squarely at the bike-park, so it might not suit everyone. It feels a little cramped when you point it back uphill, and it’s not helped by the seat tube being interrupted by welded reinforcement halfway down, so you really need to choose whether you’ll cut the post short enough to get it out of the way for descents or have enough length to put it up for climbs. On the downhill and in the park it excels, though. It has a hugely playful feel on the trails, with the light but tough DT Swiss wheels and excellent Maxxis High Roller II tires helping you razz the corners at full pelt. S tarting in 1987, Saracen was a market leader during the early 90’s and in 2009 the brand was acquired by Madison, the UK’s number 1 distributor to the independent bike retailer. They are passionate about bikes and love cycling. They believe in great design, quality and affordability. Every part of their range has been put together with you in mind; whether you’re looking for a bike to rip the local trail centre, a bike to get to work on or a quality bike for your kids, you’ll find it at Saracen. If you are looking at getting into biking on dirt trails then this is a great mid level option. This bike is extremely affordable for the specs, and it doesn’t look to bad either. It’s set up for delivery, so once you take it out the box, there’s very little you have to do with it, except hit the trail. It’s been more than a decade since Kyle and Jason decided to start a little project called Transition biking. The goal was not only to create a brand, but also to create a culture, a cause. They sold their bikes and parts out of Jason’s basement, for years, before they quit their full time jobs to get behind Transition full time. With transition Kyle and Jason haven’t only created great bikes, but also a community that regularly gets involved in the business and feels like a family. Transition have a really active web site and YouTube page, always coming out with new videos sporting both their bikes and the skills of their riders. 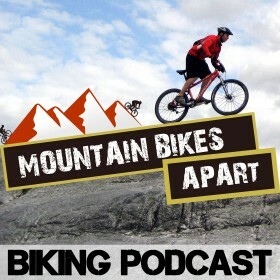 Even if you don’t fancy a Transition bike, I would check out their channels on YouTube and Facebook for some awesome biking related content. The Covert is the most versatile bike in the Transition lineup. It is designed to excel at a multitude of riding styles. The Covert is super comfortable and great for climbs, whilst the increased stroke shock and custom suspension make the Covert great for destroying those downhill sections. Riding the Covert feels playful. It should be your bike of choice for Enduro riding and more technical tracks. With three wheel sizes and carbon options, the Covert has a “King of the Mountains” attitude and great adaptability. What Other Brands are Upsetting the Apple Cart? I’ve listed 4 brands here that I’ve seen breaking into the market in the UK in recent years, but I’m sure there are more, in the UK and beyond. Tell me what new or emerging brand you’re riding and why. I want to hear about ALL the bikes! The Covert 26 Carbon looks really interesting..I’m a little short 5’6 so it does look like the make is going to be a positive factor, however, I’ll definitely give it a test ride. I am looking for a trail bike made specifically for tall riders. I am 6 – 4 weigh about 210 lbs. Any of these companies stock or build custom bikes for tall men? Extra Large stock mountain bikes are not designed for my long legs and by the time i adjust the seat post to the correct height for me the angle to the bars is way to steep and my neck back and shoulders are in constant strain and create a lasting painful time for days and day….